The decision to hire a fresh-off-the-books college graduate isn’t one you would likely make if you are eyeing short-term profits. Indeed, employers can find it a more time-intensive effort to bring a new graduate up to speed, as opposed to onboarding someone who knows their way around the workplace. But when this activity is viewed as an investment, finding the right person for the job can be a decision that pays dividends for years. It’s not news to anyone that the job market is a tough place; talents are in high supply, while jobs, on the other hand, are very limited. But imagine trying to find a job as a recent college graduate. Not only do you have all other fresh graduates to compete with, but also thousands of job seekers with two or three times more experience than you. Unsurprisingly, 76% of fresh graduates in the MENA region say that finding a job is actually the biggest challenge facing their generation, as revealed in the July 2015 Bayt.com Fresh Graduates in the Middle East and North Africa survey. The same survey also reveals that for 32% of fresh grads, the job search lasts between three and 12 months, while only 3% are able to get a job directly through campus placements. In fact, 80% of them state that their college or university do not help them identify job opportunities. 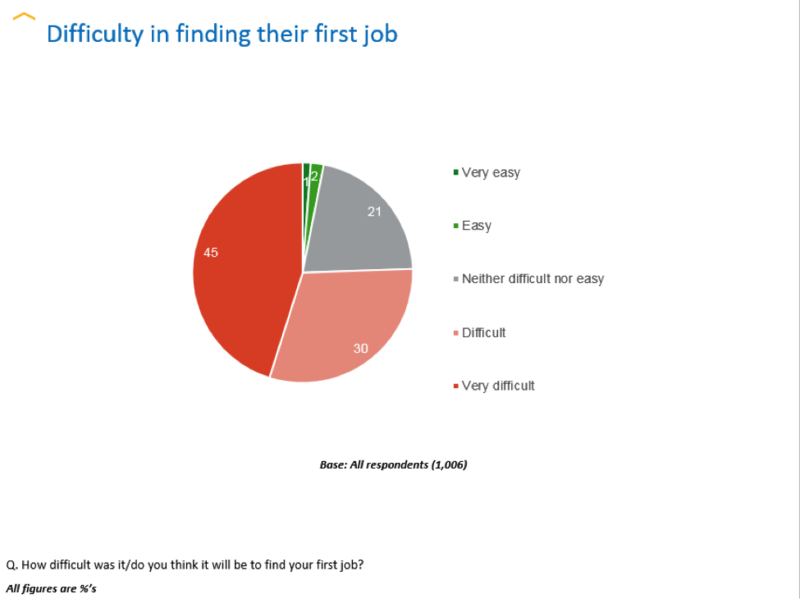 Seven in 10 respondents believe that companies are hesitant to hire fresh graduates because these graduates may lack the needed on-the-job experience. We are all aware of the fact that the vast majority of job openings require at least two years of experience, on top of the college degree. This is why the challenge of starting a professional career from scratch seems nearly impossible for someone who’s just out of college. And unless they have an outstanding GPA, excellent recommendations and exceptional training and skills, the chances are that opportunity is going to go to someone else. But it shouldn’t take a prodigy to fill a job opening. 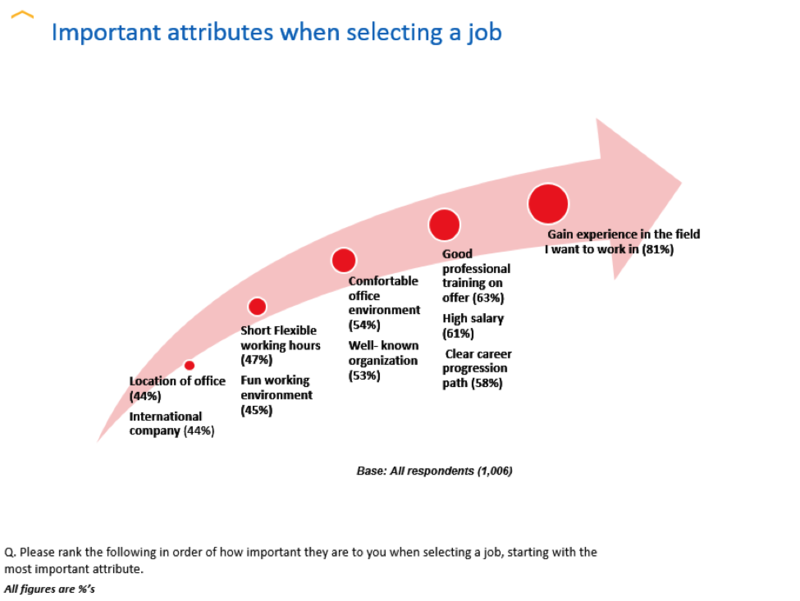 Most graduates have plenty of other things to offer a potential employer. Actually, hiring young graduates greatly benefits the companies that do hire them. But for a fresh graduate to get the job, a hiring manager has to give them a chance. 1) They don’t ask for much One of the main advantages of hiring fresh graduates is that hiring them is less expensive than hiring more experienced professionals. The market rate for hiring a fresh graduate is not very high. According to the Fresh Graduates in the MENA survey, July 2015, 31% of respondents do not expect a salary higher than US$500 a month in their first job. This doesn’t mean that you can hire a fresh graduate and pay them extremely low salaries, or salaries that are much lower than the market rate, but it provides an opportunity for your company to hire a talented individual at an entry-level rate and invest in them until they become star employees. 2) They bring innovative ideas and new perspectives Fresh graduates might have done a few internships, but they haven’t yet been instilled into the corporate world. Their mind isn’t affected by previous company practices and can bring a new perspective to your company. They might be able to point out flaws or solutions to existing problems in a creative and ingenious way. Most universities emphasize on the importance of innovation which these graduates bring to the table. In the MENA region, 61.8% of professionals say that innovation leads to improved financial performance, according to the Innovation in the MENA poll, January 2013. 3) They are masters of continuous learning Fresh graduates are often eager to learn and extremely determined to prove themselves. When given a task, they will tackle it wholeheartedly. They’re not afraid of asking questions. And being similar to a blank canvas, they can adapt to any corporate culture easily. They’re also open to new ideas and working styles. 4) They have good technical and life skills Numerous technical skills, such as computer skills, are taught in college. This is very important as 58% respondents in the Fresh Graduates in the MENA survey feel that computer skills are required to excel in the workplace. Other skills fresh grads think are essential for success are linguistic skills (44%), communication skills (39%), and interpersonal skills (30%). 5) They are up-to-date with the latest technologies The generation gap becomes evident when it comes to technology. According to the Millennials in the MENA survey, February 2014, both millennials and the older generation agree that technology makes them effective at work. However, 75% of those below 35 years old believe their older colleagues do not take full advantage of technology available. On the other hand, younger employees are tech-savvy and well-informed. They know how to keep up with the latest technological trends and they can bring this, as an asset, to any job. Are fresh grads the new ‘treps? Our research has shown over and over again that millennials are more interested in running their own business than being employed. Unlike previous generations, for many millennials climbing the corporate ladders isn’t a goal they are struggling to attain. Actually, eight in 10 fresh graduates might be turning their backs on the traditional career path soon and instead become owners and runners of their own business, according to our research results. Whether due to the economy or something else, it is clear that entrepreneurship in the MENA region has grown. 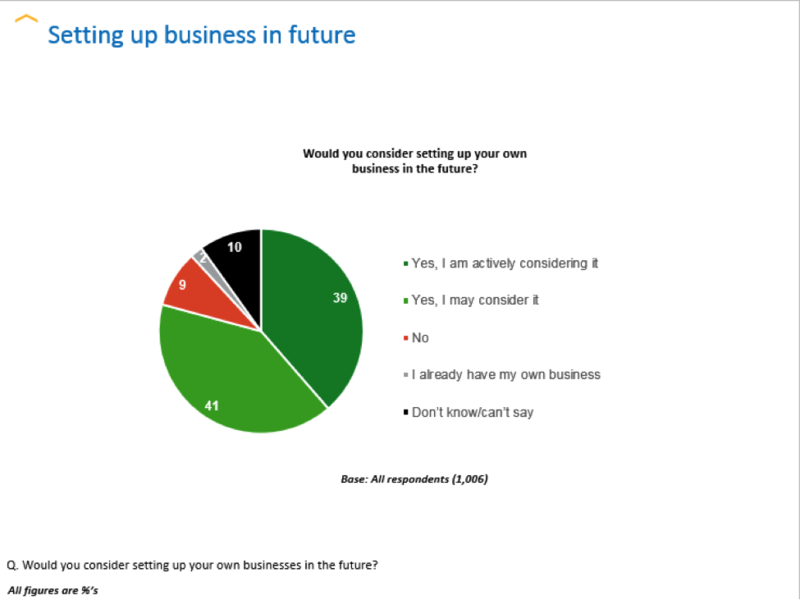 In terms of future aspirations, 39% of fresh graduates are actively considering setting up their own business; 41% may consider it. These findings mirror a Bayt.com survey in partnership with Stanford University, which showed that in every Arab country surveyed about 40% of respondents expressed interest in being self-employed, with 50% of them saying that they started a business because they wanted greater independence. So, whether it is by reinforcing the role of universities in preparing fresh graduates for the workplace, or governments and local communities paving the way for entrepreneurial ventures or suitable job opportunities, fresh graduates in the MENA clearly need all the help they can get to obtain jobs they truly love and value. Young people bring energy, ambition and familiarity with modern technologies to today’s workplaces. They are also more prone to being a great cultural fit for the company, as they haven’t been socialized to follow the practices of another company and aren’t set into routines or working styles that more seasoned hires may have a difficult time of casting off. Hiring an employee directly out of school gives employers the opportunity to shape a person’s professional growth and development– an experience that is rewarding for both the employer and employee. Members of this generation of fresh grads have also proven to be innovative and better at analyzing and solving problems, reducing a certain amount of risk by increasing the probability that employers will be able to quickly recover their onboarding costs. 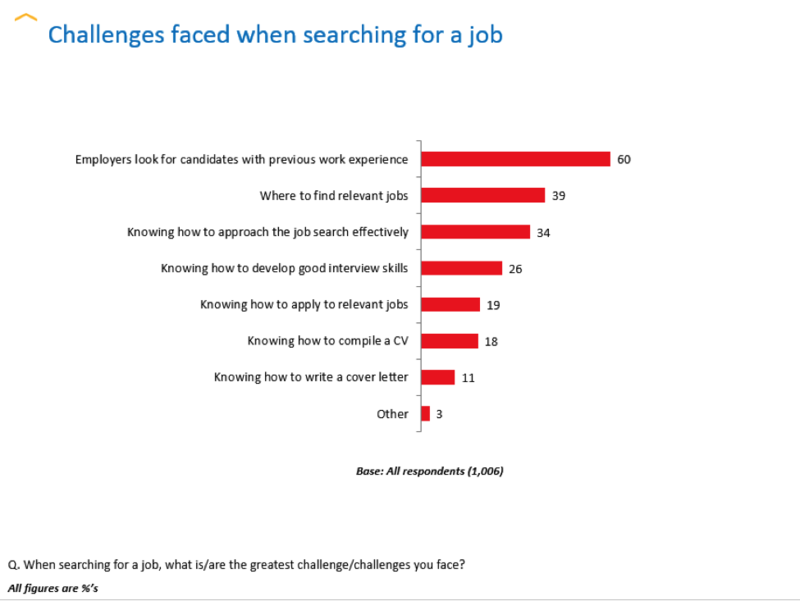 While most of these young job seekers firmly believe that their lack of experience is what is jeopardizing their job search, results from our research into the MENA region’s employment sector disagree with that assumption. The truth is, employers are increasingly tapping into the graduate talent pool; thousands of entry-level jobs are advertised on our website every day.